SwimMaster is a comprehensive tool for recording your swim workouts and analyzing how well you did. Record. 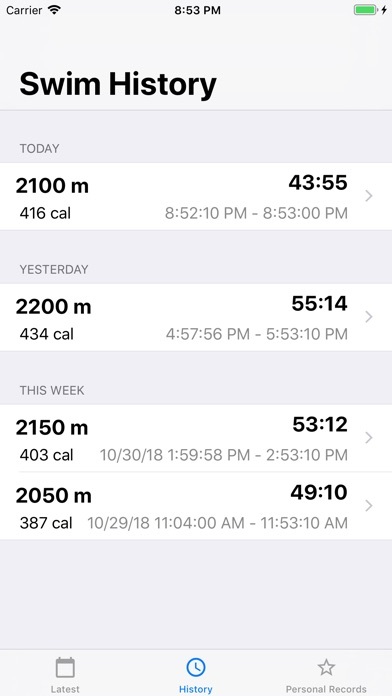 Use SwimMaster Apple Watch app to record your pool workouts. Or use the Workouts app. It will work both ways! 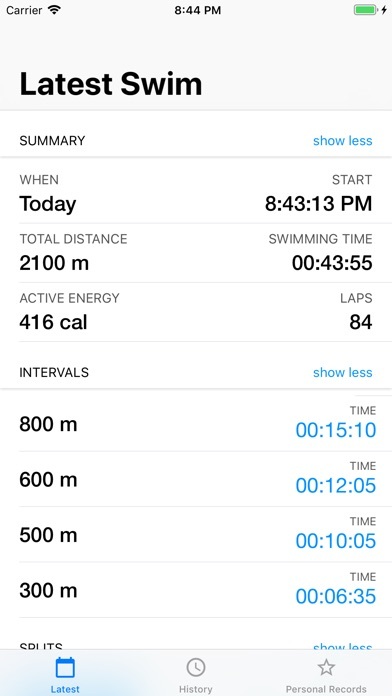 SwimMaster app is optimized for interval swimming: * Current interval time and distance are displayed front and center when swimming. * NOTE: force touch the screen to complete or discard your workout. * Completed interval stats and total stats are displayed when workout is paused. * Rest timer is also displayed in the paused state. * Completed workout stats also include your first 5 intervals. Use the iPhone app to see all remaining intervals. * Water lock is activated when workout is started. Unlock your watch and force touch the screen to either complete or discard the workout. Analyze. 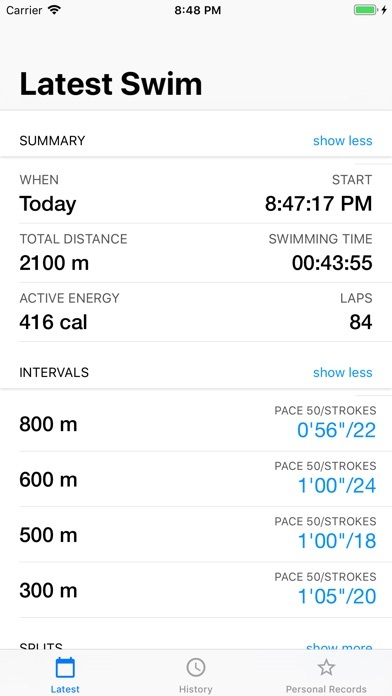 Use SwimMaster iPhone app to analyze your swim workouts. * See your most recent workout right away when you open the app. * All stats that you would expect: total distance, calories burned, number of laps, swimming time (rest time not included). * Interval stats: distance and time. Tap to display pace and stroke per 25, 50 or 100 meters or yards. * Splits stats for 25, 50 or 100 meters or yards. Tap to switch between time and stroke count. Personal records. * Separate records for yards and meters. * Total distance and total swimming time. From the beginning! * Personal best times for following splits: 25, 50, 100, 200, 400, 600, 800, 1000 yards or meters. Disclaimer. 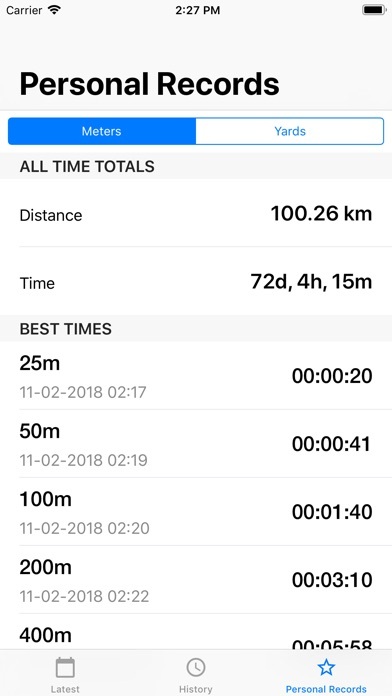 SwimMaster integrates with the Health app in order to record, aggregate and display data collected by your Apple Watch or iPhone. It uses the data to display your swim workouts stats.